H2 2018 featured majority stake sales of major suburban malls, including I12 Katong and Westgate. 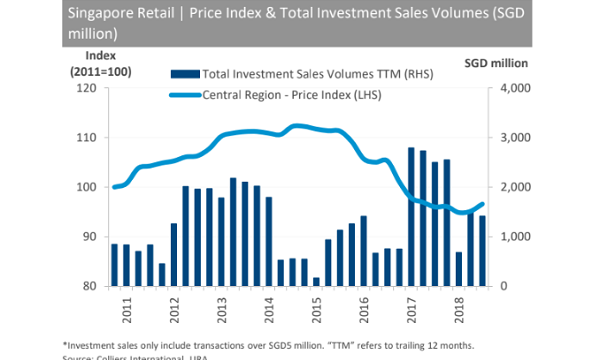 Total retail investment sales in H2 2018 jumped 73.2% from H1 2018 to reach $897.8m, bringing the full-year transactions to $1.42b, down from a robust 2017 which was boosted by the $2.2b Jurong Point sale in Q2 2017, Colliers International revealed. However, recent punitive measures on the residential sector, such as the hike in the Additional Buyer’s Stamp Duty, may continue to fuel a rise in investor interest towards the commercial sector, including retail properties, according to Colliers International’s director and head of research in Singapore, Tricia Song. “Notably, H2 2018 featured majority stake sales of major suburban malls, including I12 Katong and Westgate. Prime Orchard Road retail transactions remained confined to strata unit sales, which are typically strategically located and thus commanding high per square foot prices,” she added. Moreover, the Central Region price index saw its first annual uptick since 2014 and rose 1.8% in 2018. “With rents declining more slowly, retail yields appear to be stabilising. Average yields for prime shopping malls island-wide currently range between 4.4% and 4.9%,” Song commented. Retail yields are expected to remain largely flat, as landlords continue to innovate and evolve with consumer shifts. 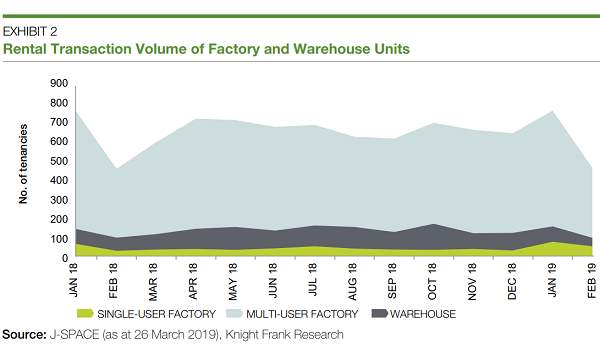 “We should see growing retail or mixed-use development deal volumes as a result of increasing allocations to real estate amidst rising global volatility in traditional asset classes,” Song added.